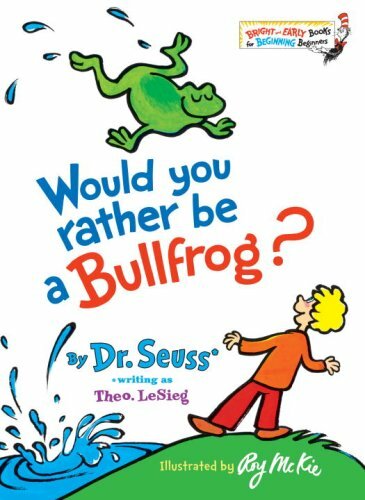 Home > Books > Would You Rather Be a Bullfrog? 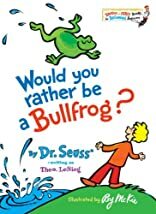 Would You Rather be a Bullfrog ? Would you rather be a clarinet . . . a trombone . . . or a drum? (How would you like to have someone going boom-boom on your tum?) Beginning readers are asked to ponder these-and a host of other odd choices-in this charming, provocative book by Dr. Seuss that encourages children to let their imaginations fly.